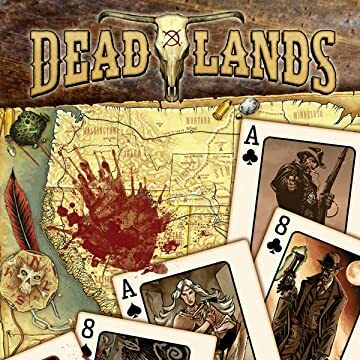 Deadlands is the award winning, world-famous, original WEIRD WESTERN role-playing game from Pinnacle Entertainment that blends westerns, horror, and steam-punk into a rich world filled with mysticism, magic, supernatural evil, and gunslingers! 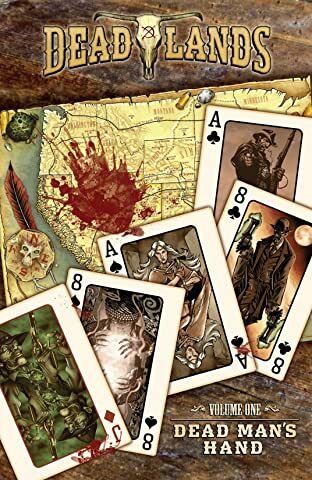 This collection of comics based on the game contains "The Devil's Six Gun," "Massacre at Red Wing," "Death Was Silent," "Black Water," "Vengeful," and "What a Man's Got To Do." Includes Deadlands Reloaded stats for characters and artifacts from the stories!